This weekend I went on a wonderful 25 mile backpacking loop from Ouray, Colorado. 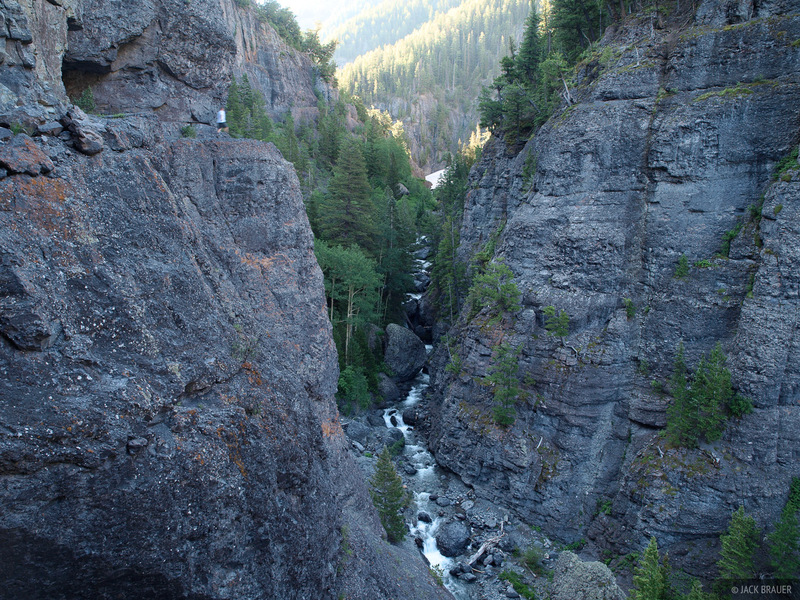 I started at Bear Creek, a few miles up the road from Ouray, hiked up to the rolling green tundra paradise of the Uncompahgre Wilderness, along the Horsethief Trail to the Bridge of Heaven Trail, then back down into Ouray. I camped two nights along the way. Hiking up Bear Creek. This is a timed exposure, and you can see me on the trail, which is cut high up on the top left canyon wall. 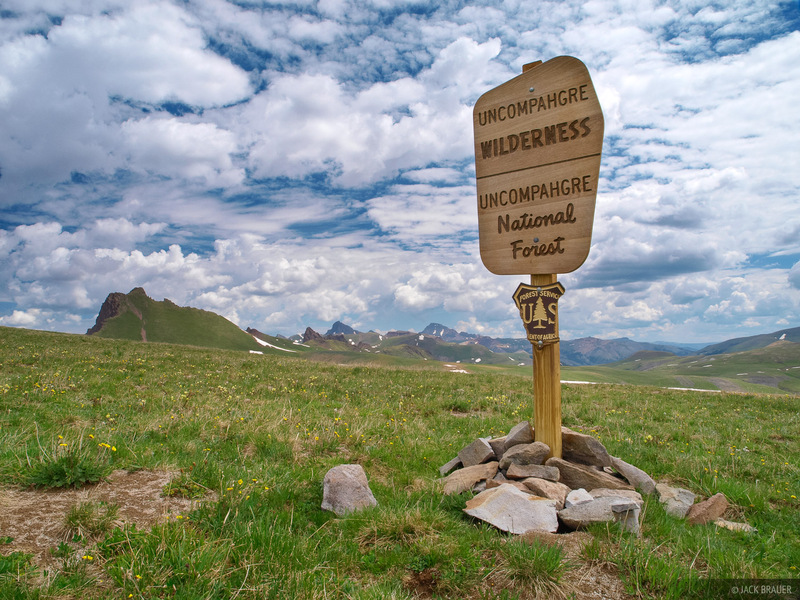 Welcome to the Uncompahgre Wilderness. 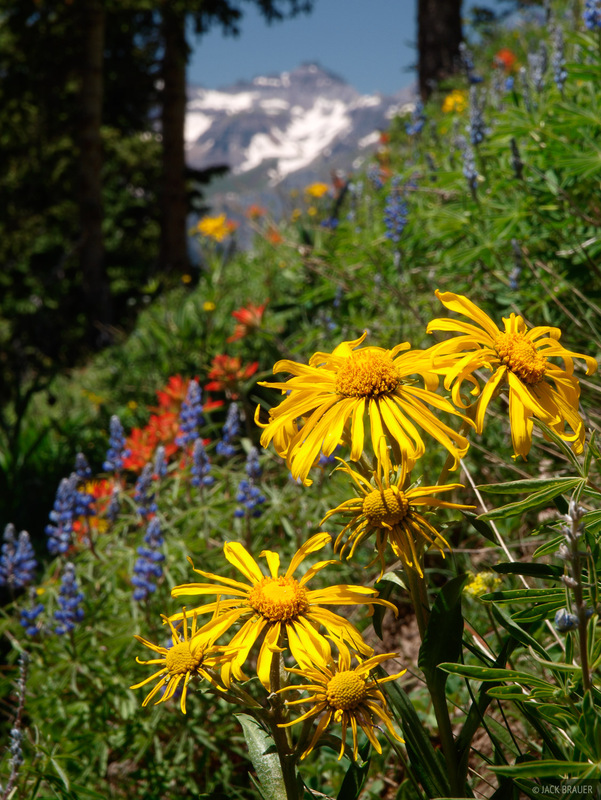 The tundra is so beautiful right now, with lush green grass and wildflowers popping up everywhere. In contrast to last week’s brutal bushwhack, this trip was a stroll through paradise. I was practically ecstatic as I walked through one gorgeous basin after another. This hike easily ranks among the best I’ve done in Colorado, and it’s basically in my backyard! Lots of purple flowers up on the tundra near American Flats. 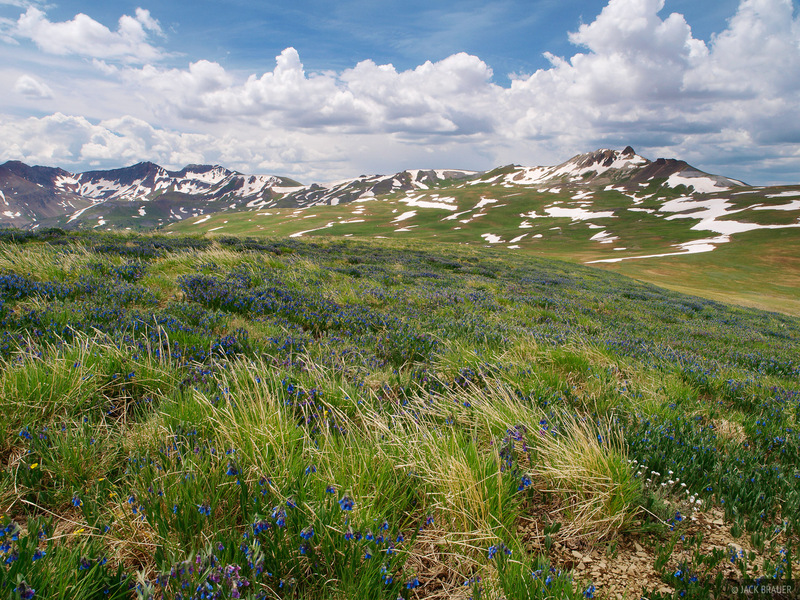 The green tundra paradise of the Uncompahgre Wilderness in July. A scene reminiscent of the Alps, in Colorado. Wildflowers with Teakettle Mountain off in the distance. 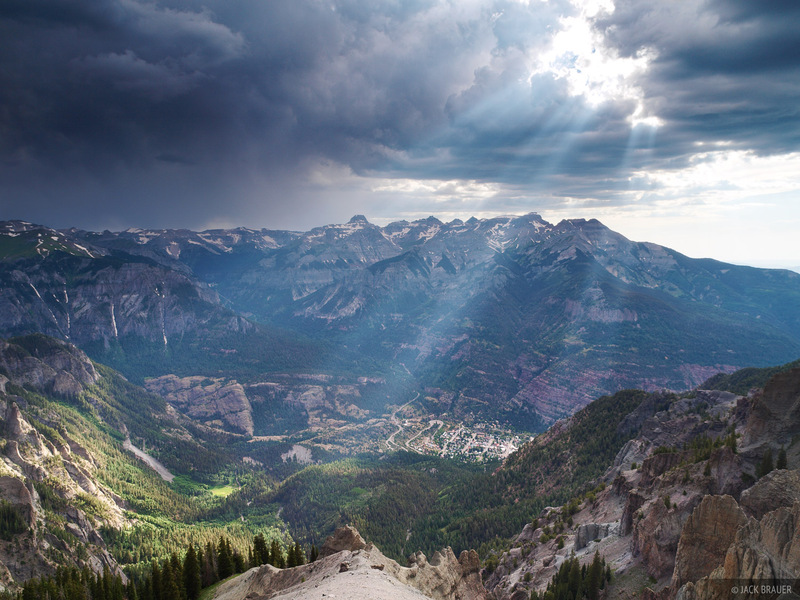 Sunlight beams through stormy clouds, as seen from the top of the Amphitheater far above the town of Ouray, Colorado. A strange thing... as I was standing here 5,000 feet above town, I could hear a band playing way down there! 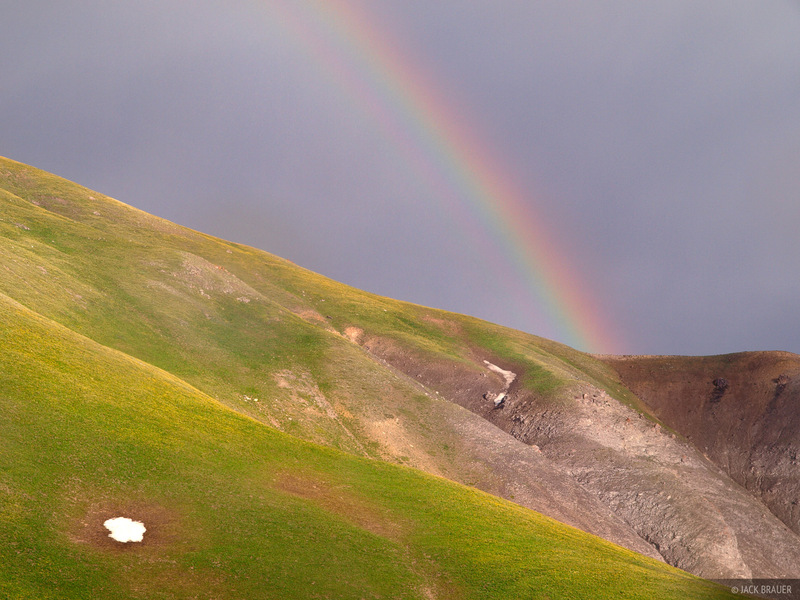 A brief splash of sunlight illuminates the flower-carpeted tundra and a fleeting rainbow appears. 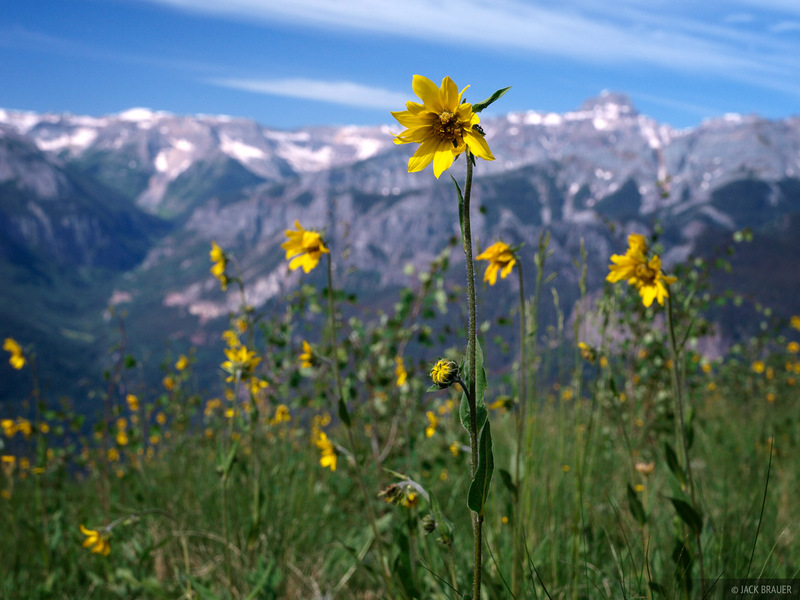 A wildflower with a view. 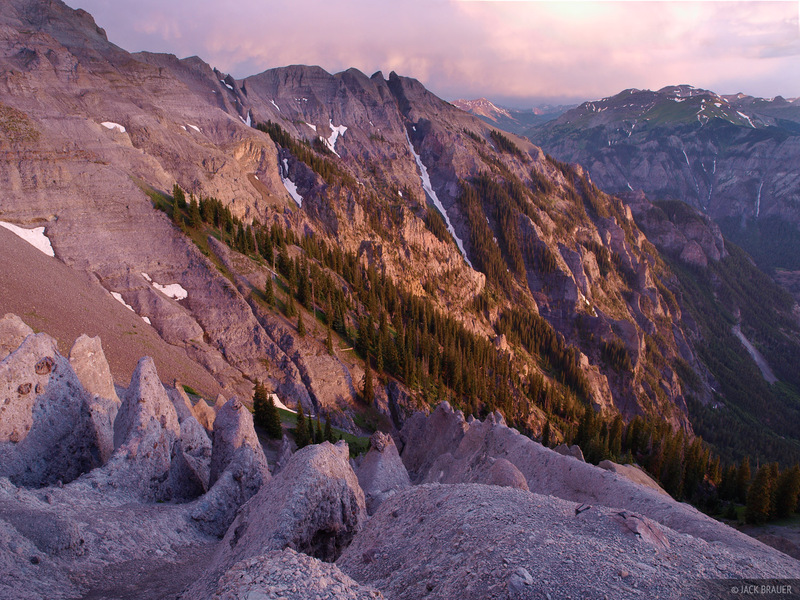 Posted in Backpacking & Trekking, Colorado and tagged San Juan Mountains, Ouray, Colorado.